Hunger and poverty are similar concepts which have often been used interchangeably. Hunger is a state of disability or weakness caused by lack of food or the desire to eat. Poverty is the state of being poor. Hunger is one of the consequences of poverty. These are some of the greatest concerns known to common man today as almost 815 million people in the world are considered hungry or cannot boast of a proper meal a day. Among this category, are some of the inhabitants of northern Cameroon, one of the poorest regions of the country and affected by droughts caused by the extension of the Sahara Desert. As a result, these people experience not only food insecurity but also water shortages. The continuous scarcity of basic human needs and the harsh climatic conditions in this region make these people vulnerable to disease, exploitation and terrorism. In Cameroon, the main terrorist group is Boko Haram, which has found a haven in the northern regions of the country since 2012. Boko Haram has established several camps in northern Cameroon and also gathered many supporters and fighters, amongst whom are women and children. So many questions have been raised by citizens of Cameroon as to why young men, women and even children become recruited by such a dangerous terrorist organization. The most common answer received is that it is an Islamic organization and most of the inhabitants of northern Cameroon are Muslims, but the reality is much more complex. After some research, it was discovered that other factors push the inhabitants of this area to join this terrorist group. Poverty, hunger and lack of basic human needs are the greatest factors pushing the inhabitants of northern Cameroon to join this group. First and foremost, this is one of the poorest regions in the country. Here, the inhabitants suffer food insecurity, harsh climatic conditions (a very harsh sun and high temperatures), desertification, water shortages, poor health facilities, unemployment, and high illiteracy rates. Most of the inhabitants feel inferior and marginalized as they expect more from the government which is never realized. On the other hand, poverty and hunger has been used by the Boko Haram terrorist group to recruit more people. Their recruitments are seen by the poor and jobless youths as employment opportunities. Most are recruited to serve as soldiers, cooks, porters and spies. This is accompanied by a good salary which is used to provide food and support families. Food is also used to attract hungry children who are used as suicide bombers. Mercy Corps, in their article entitled “Inequality and Grievances Central to Boko Haram’s Recruitment of Youth,” investigated motives of youth joining Boko Haram. Their findings revealed that, some youths are lured with loans, financial support and promises of business loans in exchange for their membership. Another dimension worth examining is that Boko Haram has also contributed to an increase in poverty and misery in northern Cameroon. As a result of their activities, many people have lost their lives especially men and young boys who are breadwinners in their families, leaving behind widows and children who are currently living in abject poverty and misery. Homes and property have been destroyed, livestock and crops have been lost, and many people have been internally displaced. It has also contributed to the collapse of businesses as some of their members are involved in looting. All these activities leave people in hunger, poverty and misery. In sum, hunger and poverty are very important concepts that need urgent measures as it has severe consequences on peace, security and development. If everyone has enough to eat and is free from the state of being in need, the world will be more peaceful and secured as there will be no struggles or rivalry over scarce resources for survival. Poverty and hunger are sources of major conflicts that plaguing most developing countries today as it leaves most people angry and dissatisfied. It is often said that, “a hungry man is an angry man.” States are hereby called upon to devise more strategies to alleviate poverty and more measures to ensure the enjoyment of the right to food and freedom from want as a way of preventing conflicts in the world. Mercy Corps, “Inequality and Grievances Central to Boko Haram’s Recruitment of Youths,” 2016, available at http://www.mercycorps.org. Accessed on the 25 of May 2017, 7pm. Author Biography: Nkwain Adeline Yafi is a Cameroonian writer. 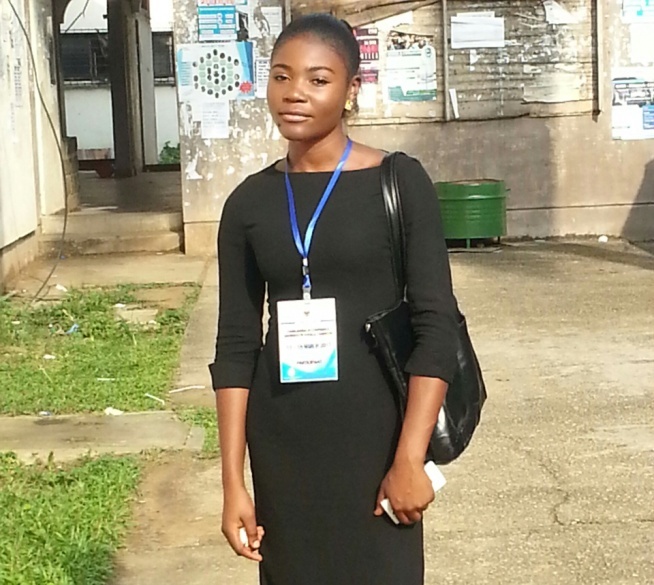 She holds a Double Bachelor’s Degree in Women and Gender studies and law and is currently in her final year as a Masters student in Peace, Conflict and Security at University of Buea in Cameroon. Poverty alleviation has always been her passion as it is one of the biggest concerns in the world today. She has particular interest in studying vulnerable groups, like women, children, the elderly, prisoners, people with disabilities and minority groups, who are the most affected by poverty and hunger. Adeline has served in several organizations like Women in Action against Gender Based Violence, The Social Centre (Ministry of Social Affairs, Cameroon) and Human is Right. *This is an independent opinion editorial and does not necessarily reflect the views of WHES.